Compression gaskets are color coded. Make note of color before removing gaskets. Record color and remove four cylinder head compression gaskets (Figure 3, Item 1). Remove cylinder block seal strip gasket (Figure 3, Item 5). Remove two support shims (Figure 3, Item 2). Remove oil seal (Figure 3, Item 4). Remove 16 water seals (Figure 3, Item 3). the current no paint compression gasket. 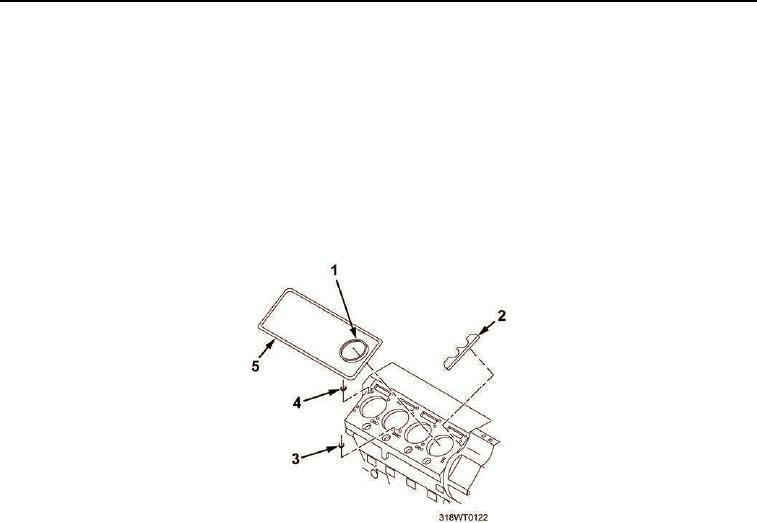 Install four cylinder head compression gaskets (Figure 4, Item 1) of the same color removed. Remove adhesive paper and install support shims (Figure 4, Item 2). Install oil seal (Figure 4, Item 14) with color side facing away from cylinders. Install 16 water seals (Figure 4, Item 11). Install seal strip gasket (Figure 4, Item 15).